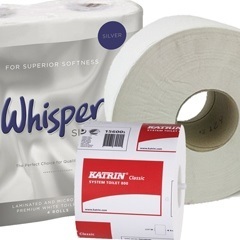 Award winning FUTURES SUPPLIES is an independent distributor of washroom, cleaning, janitorial and associated products. Our ethos is to deliver service, quality, value, reliability, with a commitment to environmental sustainability, using the most up to date technology and innovation. We are committed to integrity and transparency in the way we operate, how we supply goods and services and in our business partnerships. Carbon neutral, we have a proven track record and focused approach to supplying quality products with the added value of service excellence and we continually strive to deliver satisfaction and continual improvement. Providing the benefit of ‘one-stop’ purchasing, we can offer the best cost in use solution and provide unbiased advice on the best product for a particular job. 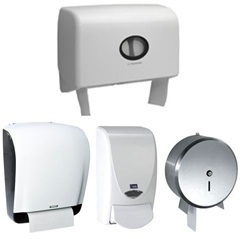 In addition to this, mainline washroom dispensers are supplied “On Loan” and installed by trained fitters. Established in 1995, we supply numerous financial and insurance institutions, corporate headquarters and prestigious commercial buildings, directly and through a network of contract cleaning companies and managing agents. Our team is dedicated to providing customers with a professional service appreciating the clients' individual needs. 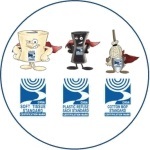 They recommend the best product whatever the environment including leading manufacturers' brands, competitive and cost effective prices and an environmentally sensitive service. We run a fleet of vans to ensure every customer receives the right products at the right time and we are always happy to go the extra mile to meet our customers' expectations. Futures Supplies is BS EN ISO 9001: 2015 certified for its Quality Management system. 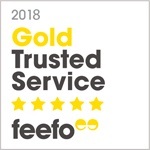 The company is a member of the CHSA, The Croydon Chamber and BICSc and it has been awarded a Feefo GOLD Award for two consecutive years. In 2007 we successfully achieved certification to BS EN ISO 14001:2015 for our commitment to our environmental project, ensuring legislative compliance, recording information on the operation of our EMS and demonstrating continual improvement.